In this January Advocacy Update we are focusing on the advocacy priorities of our state public policy offices. In future updates, we will return to the previous order of having the ELCA Advocacy Office in Washington, D.C., first followed by the state offices. Blessings! Health care: protection of gains made under the Affordable Care Act, more than 5 million more people with health insurance; disclosure and regulation of drug prices. LOPP-CA has been part of organizing and advocacy efforts focused on district work with California’s congressional delegation to protect progress made under the Affordable Care Act (covered California insurance exchange and Medicaid expansion). 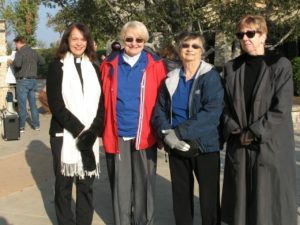 The pastor of Emmanuel Lutheran and six members joined a large group for a rally outside the Bakersfield office of House Majority Leader Kevin McCarthy (photo). LOPP-CA was one of hundreds of organizations signing a letter to the delegation supporting health insurance for children and signed another coalition letter with a broader health focus. There was great energy when Health Access celebrated 30 years with a December symposium (LOPP-CA was an original founding group). Immigration: support for California’s state laws providing services and supports for immigrants and new efforts such as provision of due process and legal resources in immigration proceedings, including for unaccompanied minors. Care for creation/climate change: Implementing and strengthening California’s climate-change laws, with attention to environmental justice; water-justice issues including safety, access, affordability and tribal concerns. With the conviction that science matters, LOPP-CA Director Mark Carlson will participate in the state-sponsored California Climate Change Symposium 2017 and is pitching to faith leaders opportunities to engage with the World Congress of Science Journalists in Oct. in San Francisco, “Bridging Science & Societies.” On Jan. 10, LOPP-CA was the site host for a Drought and Equity Summit to release a report developed by the Environmental Justice Coalition for Water and the Pacific Institute. Housing: addressing a critical need for permanent housing and services for homeless people, including advocacy for funding mechanisms, and addressing “not in my backyard” attitudes. In anticipation of congressional and presidential challenges to California’s healthcare, climate-change, immigration and firearms regulation policies (most supported by LOPP-CA), among others, Gov. Jerry Brown has nominated former U.S. Rep. Xavier Becerra to replace now U.S. Sen.Kamala Harris as state attorney general, and the Legislature has retained former U.S. Attorney General Eric Holder’s law firm as outside adviser on federal policy. LEGISLATURE CONVENES: The Colorado General Assembly will convene on Wednesday, Jan. 11, to begin the legislative work of the people for 2017. The Assembly will be in session until Wednesday, May 10, for a total of 120 working days. FAITH ADVOCACY DAY: Colorado Faith Advocacy Day will be Saturday, Feb. 11. Join other advocates for an illuminating day of learning and action! “Luther at 500: Reclaiming Protest For Today’s Public Church” We’ll focus on the future of the church’s public witness and reclaiming Martin Luther’s legacy of activism and protest on the cusp of the Reformation’s 500th anniversary. What does it mean for us to be a “Protest”-ant church today? Saturday, Feb. 11, 2017, 8:30 a.m.-2 p.m.
Breakfast, lunch, and all materials included! Undergird our work with love and concern for our neighbors, especially the outcast and the marginalized, through the lens of anti-racism. PLEASE JOIN SOME UPCOMING IMPORTANT EVENTS! 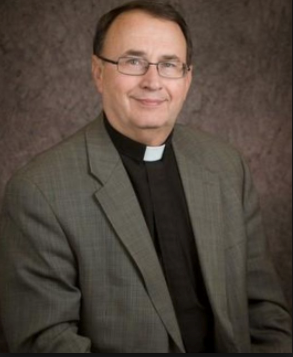 Christ Lutheran on Capitol Hill and Minnesota Capitol: Bishops, pastors and other church leaders are invited to a day of learning and advocacy. Region 3 ELCA Hunger Retreat (for Minnesota, North Dakota, and South Dakota): Friday, Feb. 3, to Saturday, Feb. 4; Friday noon lunch through Saturday after lunch. Luther Crest Bible Camp, 8231 County Rd. 11 NE, Alexandria, MN 56308; Cost is $50. JRLC Day on the Hill is Thursday, Feb. 23, 2017. 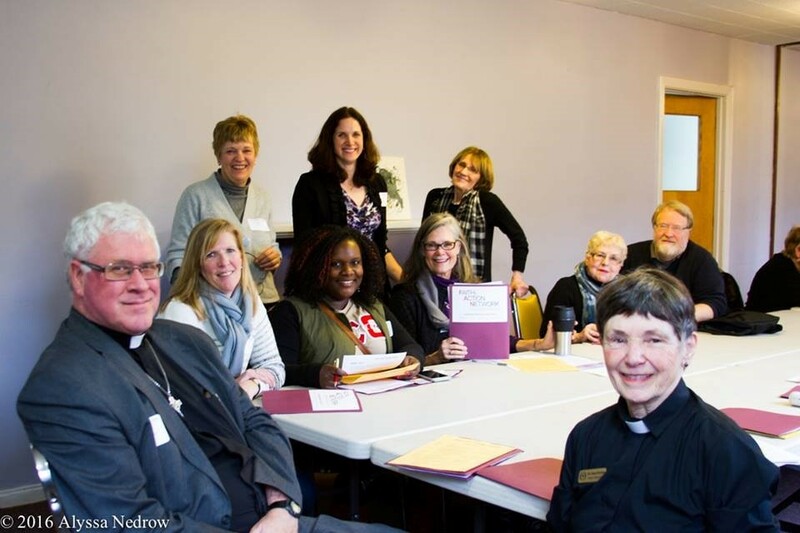 This interfaith gathering and advocacy event brings together Lutherans and many other people of faith as we jointly work to address issues affecting low-income people! 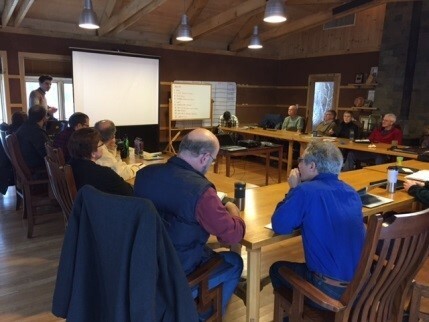 The LAM-NM Policy Committee gathered in person and via Skype in December for its fall meeting. The committee reviewed our recent Advocacy Conference and looked forward to our 2017 Bishop’s Legislative Luncheon and Issues Briefing on Jan. 31. The program budget for 2017 was adopted. The primary item on the meeting agenda was the review, discussion and adoption of the LAM-NM 2017 Advocacy Agenda. THE END OF 2016 SHOWS THAT OUR ADVOCACY DOES MATTER! It is easy to see the impact of our charity work compared to advocacy work as a church. With our charity work, we can measure the number of volunteers, meals fed or homes built. Advocacy work often takes more time to see the impact. In 2014, the Ohio Legislature passed a freeze of Ohio’s renewable energy standards. This was a major setback for clean energy job growth, congregations receiving assistance with energy audits, and Ohio’s commitment to environmental stewardship. The Ohio budget (including housing and emergency food assistance). The Pennsylvania General Assembly began its 2017-2018 term on Jan. 3 with ceremonial swearing-in of newly elected lawmakers and election of leadership. Allegheny County state Rep. Mike Turzai was elected to a second term as speaker of the Pennsylvania House of Representatives, while the Pennsylvania Senate re-elected Sen. Joe Scarnati, R-Jefferson County, to serve as the chamber’s president pro tempore. There was no action on legislation. The resignation of one Democratic representative on Tuesday gave Republicans the largest majority held by either party since the 1950s. The current House makeup is 121 Republicans, 81 Democrats. In the Senate, the Republican caucus also grew to 34 of the 50 members – a veto-proof majority. That’s the largest majority held by either party since the GOP held 35 seats in 1949. HUNGER: Improved access to healthy, affordable food. EDUCATION: Equity and adequacy in public education funding, access to high-quality pre-K. POVERTY: Sustainable development, opposing payday lending, increasing minimum wage, safeguarding benefits, preventing homelessness. CIVIL RIGHTS: Racial justice and prohibiting LGBT discrimination. IMMIGRATION: Creating a welcoming commonwealth, combating anti-sanctuary legislation. The 2017 legislative session promises to be a time of high stakes and hard choices. It’s never been more important for people of faith to be informed and engaged. Starting Monday Jan. 16, and on each succeeding Monday at noon throughout the 140 days of the 85th legislative session, Texas Impact will host a Weekly Witness event. At these events, Texas Impact will hold a short, focused advocacy training in Murchison Chapel at First United Methodist Church, Austin. We – and often colleagues from our partner organizations – will present timely, insider information on a “focus issue of the day,” as well as updates and next steps on other issues that are on our legislative agenda. Following the training, participants will make scheduled or unscheduled legislative visits with their legislators and other key members and sometimes attend committee meetings or take advantage of other timely opportunities. On Jan. 16, April 17 and May 29, we will convene Weekly Witness in an alternate location in the Capitol Extension, E2.020 (Capitol reference map). Sign up for Weekly Witness today! 2017 LEGISLATIVE SESSION: Washington’s Legislative Session begins on Jan. 9; the primary responsibility is to form the 2017-2019 Biennial State Budget, and to resolve a five-year State Supreme Court case holding the Legislature responsible for sufficiently funding our K-12 school system. The governor’s proposed budget fully funds the K-12 system and a response to our mental health crisis with new revenue from a 1 percent increase in our business and occupation tax system, a tax on carbon emissions, and a tax on capital gains. Many predict that this proposed budget is dead-on-arrival, as our Legislature is almost evenly divided by party. There could be two to three special sessions after April’s constitutional adjournment to find a bipartisan solution to fund the K-12 and mental health systems. During the session, FAN will have three part-time lobbyists working in our State Capital four days a week to push for the issues on our legislative agenda. A humane and sustainable biennial budget. Policies that reduce wealth inequality and support human services. Dismantling the culture of violence through criminal justice reform and gun safety bills. Protecting affordable housing and preventing homelessness. 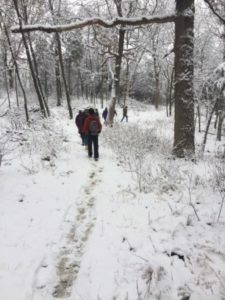 CARE FOR GOD’S CREATION – WISCONSIN CLIMATE TABLE: Several Wisconsin groups that work on environmental issues held their first overnight retreat. We began with a walk along the Ice Age Trail in Baraboo with a guided discussion about the noticeable changes in local wildlife over the last 100 years (See photos). Dr. Curt Meine, an Aldo Leopold scholar and professor at UW-Madison talked about the importance of framing discussions about climate change within our history of Wisconsin conservationists and in a manner that doesn’t threaten to take away anyone’s pickup truck. Along with Aldo Leopold, we can claim several other conservationists, such as Thomas Chamberlain, UW-Madison president (1887 to 1892), who was one of the first scientists to emphasize the role of carbon dioxide in regulating the earth’s temperature (See photo on the right column). Meine shared the first time he heard climate change framed as a partisan issue. In 1988 he heard Rush Limbaugh present “the other side” of the issue of climate change on “Nightline.” Since then we have gotten stuck in that narrative. But climate change isn’t something you believe or disbelieve in. You accept data or have alternative data. 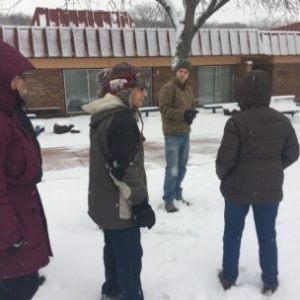 At the Aldo Leopold Center, we strategized. Most of us do statewide work but within our current political climate, we will also focus on local efforts. LOPPW recently signed on to a joint letter about renewable energy to a county executive, who has now asked his staff to create an initial solar plan. LOPPW also integrates ideas for local grassroots efforts in our workshops. ANTÓNIO GUTERRES IS THE NEW UN SECRETARY-GENERAL: On Jan. 1, António Guterres began serving as the ninth secretary-general of the United Nations. Guterres is a Portuguese politician and diplomat. He was the prime minister of Portugal from 1995 to 2002. From 1999 to 2005 he was president of Socialist International. Between 2005 and 2015 he was the U.N. high commissioner for Refugees (UNHCR). During his tenure, he gave specific attention to the suffering of vulnerable people, particularly women and children in conflict zones. He is a strong supporter of the empowerment of women and named three women as his first appointments to senior posts in the Secretariat upon becoming secretary-general. While at UNHCR, he developed particularly good relationships and partnerships with civil society and NGOs. One example was working together with The Lutheran World Federation and other faith communities on the high commissioner’s dialogue on faith and protection, which culminated in “Welcoming the Stranger: Affirmations for Faith Leaders,” a declaration that draws upon principles and values of welcome that are deeply rooted in all major religions, including Buddhism, Christianity, Hinduism, Islam and Judaism. FRANCE TO CONVENE INTERNATIONAL CONFERENCE JAN. 15 TO RELAUNCH THE (ISRAELI-PALESTINIAN) PEACE PROCESS: Following the Dec. 23 adoption of a U.N. Security Council resolution on Israeli settlements in the Occupied Territories, French Ambassador François Delattre commented on his government’s plans to hold an international conference this month to relaunch the (Israeli-Palestinian) peace process. “Like the Palestinians, the Israelis have a vital interest in peace, which can be based only on a two-state solution. That is the aim of the French initiative to try to relaunch the peace process. In that respect, following the important ministerial meeting of 3 June, France decided to organize an international conference on 15 January 2017 in Paris, whose goal will be to introduce the contributions of the international community to relaunch the negotiation process and conclude and implement a peace agreement. …The resolution that we have adopted today and the Paris international conference represent two sides of the same coin, both aimed at reiterating our shared attachment to the two-state solution and creating conditions conducive to that end. We hope that the resolution and the French initiative will be the first important steps towards relaunching a credible political process that we will need to pursue collectively in the weeks and months ahead.” More than 70 governments are expected to attend. Israel has declined the invitation. Deaths from terrorism decreased by 10 pecent in 2015 to 29,376. This is the first decrease in the number of deaths recorded since 2010. Of the last 16 years, the worst year for terrorism was 2014 with 93 countries experiencing an attack and 32,765 people killed. Iraq and Nigeria had the biggest decreases with 5,556 fewer deaths (than 2014). In countries that are members of the Organization for Economic Cooperation and Development, deaths from terrorism dramatically increased in 2015, rising by 650 percent when compared to 2014. Since 2006, 98 percent of all deaths from terrorism in the US have resulted from attacks carried out by lone actors, resulting in 156 deaths. In 2015 four groups were responsible for 74 per cent of all deaths from terrorism: the Islamic State group, Boko Haram, the Taliban and al-Qa’ida. The Islamic State group surpassed Boko Haram as the deadliest terrorist group in 2015. It undertook attacks in 252 different cities in 2015 and was responsible for 6,141 deaths in the year. Boko Haram had an 18 percent reduction in the number of people it killed in 2015, responsible for 5,478 deaths during the year. Negotiations toward a global compact on migration. TRAFFICKING PREVENTION MONTH: January is National Slavery and Human Trafficking Prevention Month. One of the ways you can help prevent human trafficking is by raising awareness. Share graphics and messages this month on Facebook and Twitter via #ELCAadvocacy, and share the Interfaith Toolkit on Human Trafficking. For further prayer and discernment, find out what the ELCA has to say about Human Trafficking by clicking here. HOUSING AND ADVOCACY BLOG: Housing and homelessness issues didn’t garner much attention during the last presidential campaign, but rising housing costs stacked against leveled wages continue to put pressure on families across the country. Support through shelter ministries from congregations is becoming even more essential for those struggling in the community – and advocacy in 2017 can make a real difference in public dialogue. Read more on the ELCA Advocacy Blog. MIGRATION AND AMMPARO: While it is still unclear how the new Congress and administration plan to tackle migration issues, many advocates are concerned about rumored policies that could harm children and families seeking safety outside of their countries of origin. The Trafficking Victims Protection Reauthorization Act, which ensures that most unaccompanied children are screened by a child-welfare expert for trafficking, will be up for reauthorization this year. This means that some of the protections it provides to vulnerable communities may be stripped. ELCA Advocacy will continue to be vigilant in following additional policies that may make it difficult for children and families seeking safety to be granted international protection in the U.S, such as changes to the asylum system or tougher border policies. CHILD NUTRITION AND HUNGER UPDATE: 114th Congress did not reauthorize and update Child Nutrition programs last year, despite hard-fought legislation passed in the Senate Agriculture Committee. Lacking reauthorization, most of the old nutrition policies that fund school lunches and child-hunger programs will continue to run on autopilot, even though the law expired in 2015. 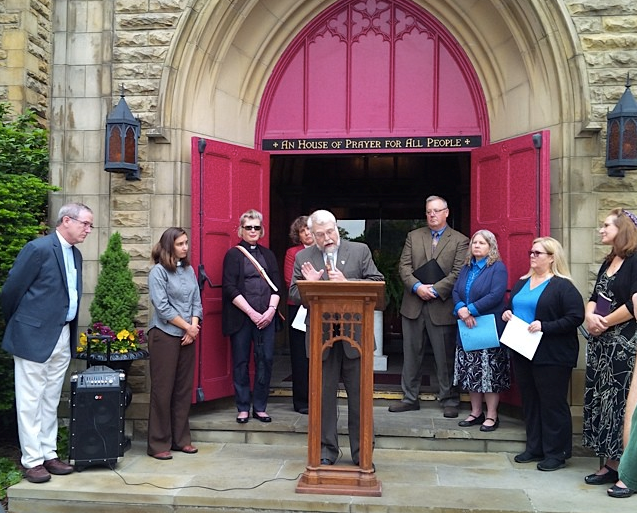 As voiced by thousands of Lutheran advocates last year, these programs have much-needed room for expansion and improvement – and should be updated with common-sense improvements in 2017. Continue to follow the ELCA Advocacy updates and alerts as the new Congress prepares the critical legislative timetables.